Dr. Yarbrough received his Bachelors of Science (BS), graduating with honors, from Auburn University. He received his Doctorate of Dental Medicine (DMD), graduating with honors, from the University of Alabama at Birmingham Dental School. Dr.Yarbrough spend one additional year after dental school practicing general dentistry at the VA Hospital in Birmingham Alabama. He was able to assist veterans with all their dental needs during that additional year and also obtained an additional dental certification, a GPR certificate, from the Veterans Administration Hospital in Birmingham. He then moved to New York City, where he completed a three-year orthodontic residency at Saint Barnabas Hospital affiliated with Weill Medical College of Cornell University. One of the finest orthodontic residency programs in North America. Prior to starting his own practice, he previously held jobs as an orthodontist in Manhattan, Long Island NY, South Hampton NY, Bronx NY, Saint Petersburg Florida, Bradenton Florida and Birmingham Alabama. 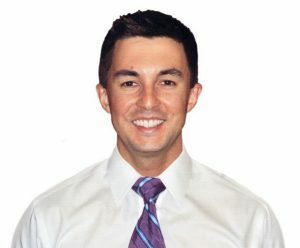 He has had extensive experience with all types of orthodontic appliances and techniques in multiple geographical locations and practices. Dr.Yarbrough believes in excellent customer service for his patients, and in providing honest treatment plans for those wishing to enhance and improve their smiles. Yarbrough Orthodontics began from the ground-up, in North Tampa in 2010. 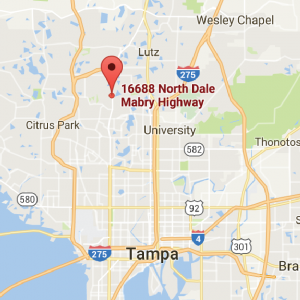 We now have 2 locations, one in the Northdale/North Carrollwood area of Tampa and one in Clearwater. Dr. Yarbrough is a member of the American Association of Orthodontists (AAO), Southern Association of Orthodontists, Florida Association of Orthodontists, as well as Hillsborough County and Pinellas County dental associations. He takes many, many hours of continuing education annually to keep up to date on the latest trends and educational advancements in the orthodontic field. He is a certified and accredited orthodontist and dentofacial orthopedic specialist. Dr. Yarbrough spends his time away from perfecting smiles with his beautiful wife and two sons, Nathan and Matthew. He also enjoys biking, running, swimming, paddle boarding, and traveling. He is excited to be working with you and your family and looks forward to making you smile!